Don't you love desserts that are so cute that they double as decoration? I do! I found this recipe online years ago (not sure exactly where) and love to make them for parties. It's so easy! Time consuming, but easy! And the good part is you can make these a few days ahead and store them in the freezer. I use a store-bought frozen cheesecake to save me some time since I'm usually going crazy finishing up projects the day before a party. 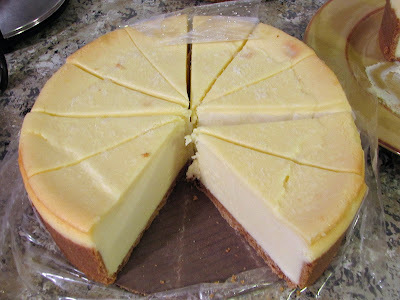 Costco sells the Cheesecake factory cheesecakes for a great price and they are delicious! First you want to slightly thaw your cheesecake. 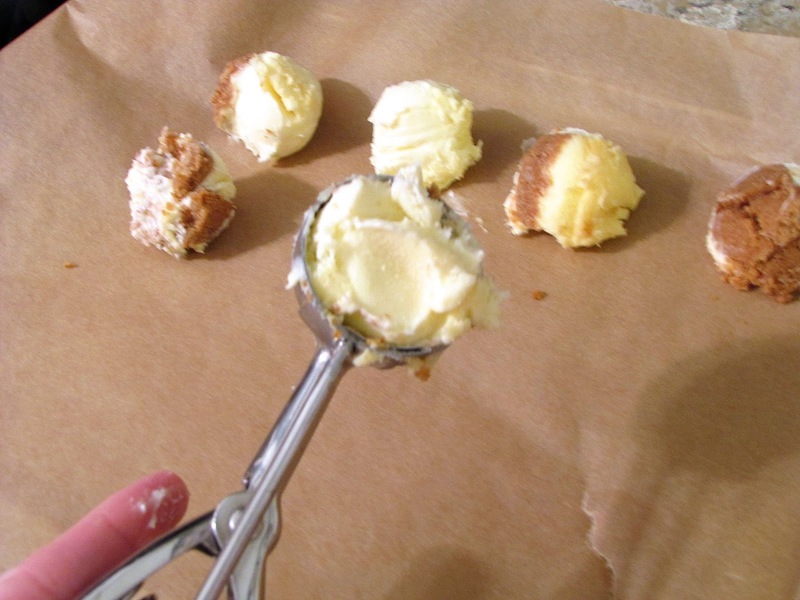 You don't want it to thaw completely, just enough that you can easily scoop out balls with your cookie scoop. Leaving it partly frozen makes it less likely to fall apart while scooping. The Cheesecake that I used here made a ton (well over 50). I just rolled what I needed and put the rest in the freezer for later. After your cheesecake is pliable start scooping out balls with your cookie scoop. I scooped out the crust too. Seriously... that's the best part! Lay them on a cookie sheet lined with wax paper. Make sure the cookie sheet is small enough to fit in your freezer. 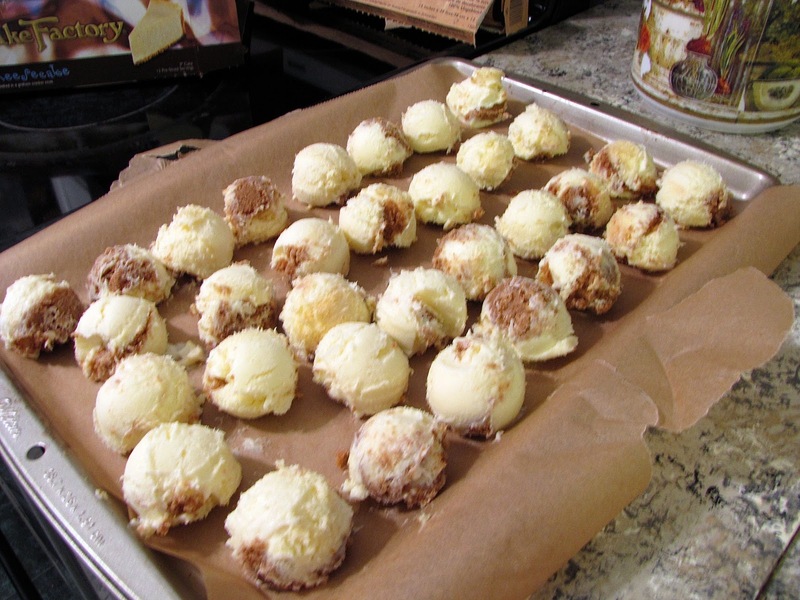 By the time your cookie sheet is full the cheesecake balls will be mostly thawed so you need to put them back in the freezer for 20-30 minutes to freeze. I had to work in sections since my freezer wasn't big enough to fit all my trays at one time. 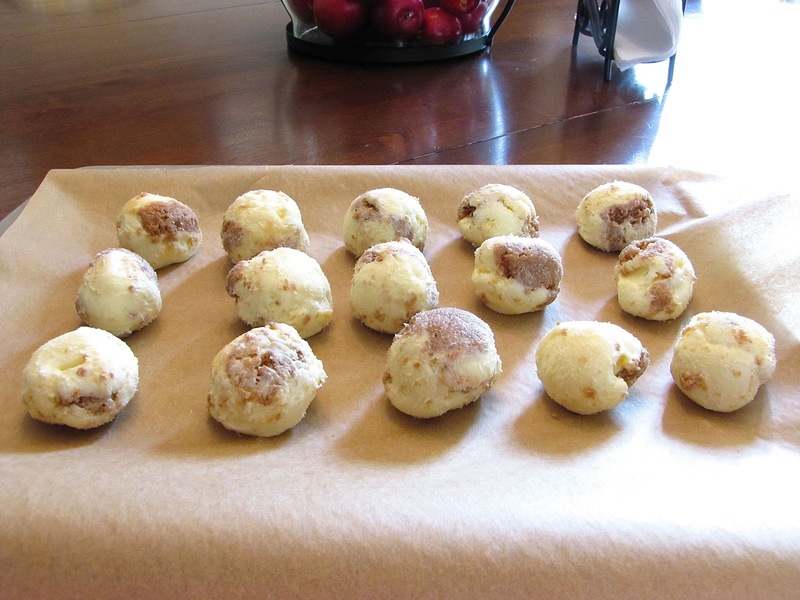 After I pulled them out of the freezer, I rolled them between my hands to smooth out the surface so it wouldn't look so bumpy after I put the chocolate on. Put a popsicle stick in the center of each one. You need to work quickly so they don't melt. Otherwise the stick won't hold. I put them back in the freezer for a few minutes while I melted the chocolate. 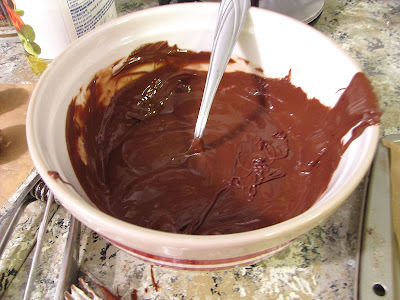 Put your bag of chocolate chips in a bowl and melt them in the microwave. I put them in for a minute and then kept checking it every 30 seconds or so and stirring in intervals until they were completely melted. I added a little vegetable oil to the chocolate to thin it out. The chocolate goes on more smoothly that way. I didn't measure exactly how much I put in I just added a little and stirred until I got the consistency I wanted. 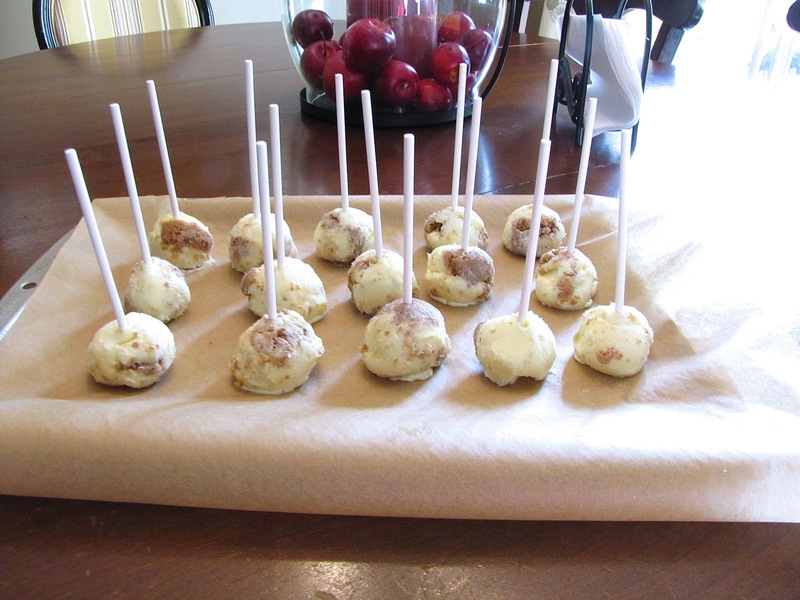 *If you want to make colored cake pops you can use the white chocolate chips and add a few drops of food coloring. I don't know where my pictures went for the next steps. It's possible my hands got too chocolaty and I didn't take any but the steps are easy I promise. 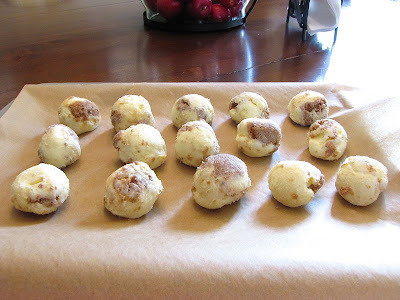 You want to line another clean cookie sheet that will fit in the freezer with wax paper. This is where you will put the pops after you dip them in chocolate. I pulled my cheesecake pops out of the freezer and one by one held them by the sticks over the bowl of chocolate. I used my spoon to drizzle the chocolate over the pop until it was covered. 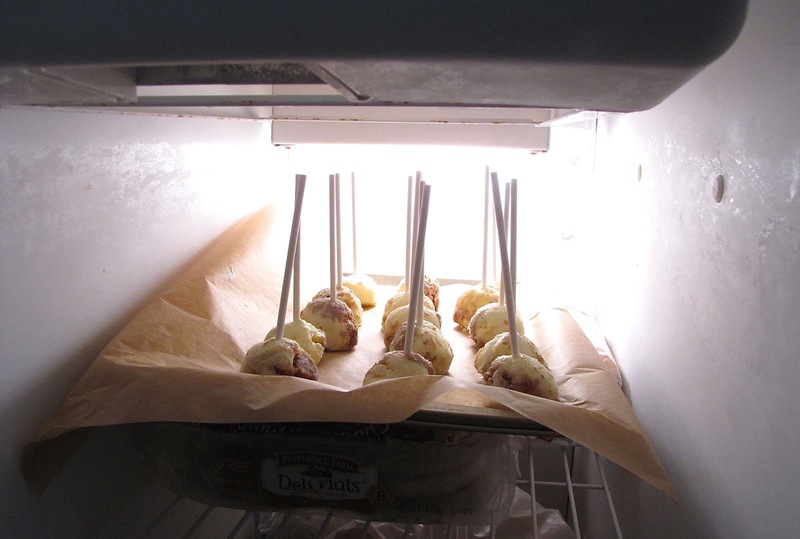 Make sure to drizzle a little on the stick just above the pop to help hold it on. I didn't dip them in the chocolate because the cheesecake will slowly start to melt into the chocolate and I didn't want it to get lumpy and harder to work with. Set it on your clean wax paper lined cookie sheet to dry. If you are going to add sprinkles to them you will need to add them while the chocolate is wet. I just held the chocolate covered pop over an empty plate, sprinkled them on and set the pop on the cookie sheet. Make sure you leave space between each one so the pops don't smudge each other. After the cookie sheet is full again put it back in the freezer. 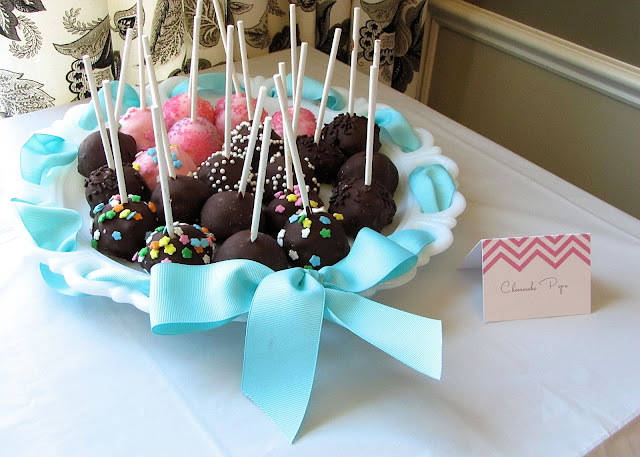 Once all the pops are frozen and the chocolate is set you can gently lay them in freezer bags to store for several days before the party. I put them on a plate and moved them to the refrigerator to thaw about 30 minutes before serving.